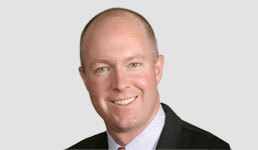 Timothy Welsh is president and founder of Nexus Strategy, a consulting firm to the wealth-management industry. Advisors, don’t let the six-plus years of rising equity markets lull you into complacency. While business is good for many, signs are emerging that the wealth industry is in for a significant secular shift. Technological and demographic changes will uproot traditional ways of doing business and render many advisory shops irrelevant. At particular risk are advisors who fail to grasp how Web and mobile applications are transforming client-advisor relations. So are firms without exposure to younger investors, who prefer a whole other way of doing business than the generation before them. Below is a list of red flags that signal a firm will face increased pressure in this changing business environment, as well as some tips on how advisors can ease these looming pain points. Excessive focus on baby boomers and the silent generation. Advisors with an aging client base are essentially managing a depleting oil well. Older clients are in their distribution phase, spending down their assets in retirement. As a result, many independent firms are witnessing a decline in overall revenues and assets, a trend that will drive ultimate business values to zero if left unchecked. To address this problem, advisors should focus their client-acquisition efforts on emerging professionals. They should also engage existing clients’ children and grandchildren. This exercise could include an examination of how the firm is perceived by millennials — prospects and potential hires alike. Some wirehouses have established recruitment programs aimed at millennials, as part of a larger effort to diversify their client base. While smaller advisory shops may lack the resources to do that, they can ensure their job searches encompass candidates who can make inroads with millennials. Deficient marketing. Without effective marketing strategies, advisors will miss their chance to engage young investors before they build relationships with competitors. Remember, when members of the next generation inherit wealth or build it through entrepreneurship, they will not seek out their parents’ financial advisor. It will be too late. Advisors need to rebuild their marketing and sales efforts to target accumulators and deploy the latest technologies in a way that makes investing more user-friendly. Throw out old-school practices like seminars, mailers and cold-call lists. Instead, use LinkedIn to drive referrals, and share useful online content through platforms like Vestorly. Obsolete website. If your website hasn’t been updated in three years and has no interactivity, you are likely behind the times. Today, online engagement means everything. Investors no longer want to meet with their advisor on a quarterly basis and review paper reports, and they have no patience for static websites with poor functionality. They want to check their accounts and financial plans online and in real time on their phone. They want to be able to log in from the back of a taxi at midnight to see if they can afford that trip to Tahiti. Indeed, the innovation the robo-advisors have brought to wealth management is not automated investing but the ability to engage prospects online. Their interactive technology has made robos more effective than traditional RIAs at opening new accounts and solving simple service requests. Just as people are comfortable making travel arrangements online or ordering a book on their e-reader, they want the same experience from their advisor. The good news is that advisor technology is enabling independent firms to white label platforms and automate back offices. This can help advisors drive down costs and offer their clients more compelling online experiences. Advisors who take steps now to fix these problems will be in a stronger defensive position in the near term and a position of offensive power for the long term.